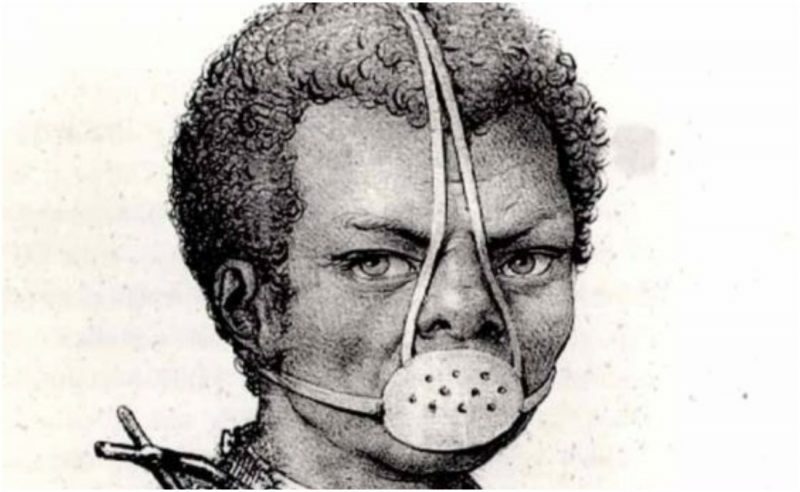 Escrava Anastacia was an enslaved African woman who lived in Brazil in the 19th century. As a black slave girl with stunning beauty, she was popularized as a martyred saint within the folklore and culture of Rio de Janeiro. 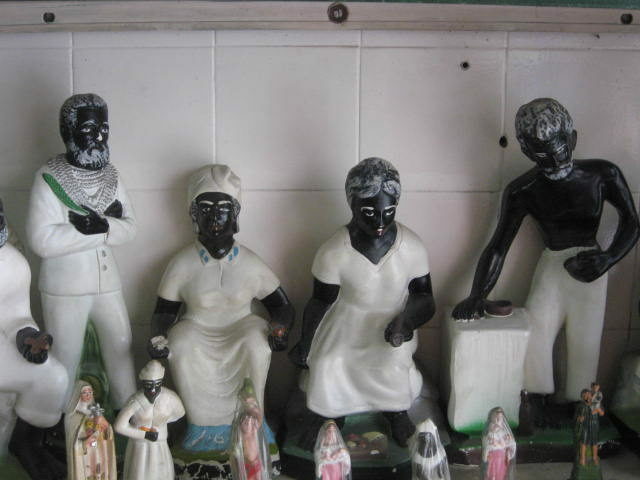 Even though the Catholic Church does not officially recognize her as a saint, she has gained a cult following and is regarded as a protector saint of the descendants of slaves and the poor in Brazil. There are several accounts of her life, with some historians claiming that she had Brazilian roots, while others insisted she was of Royal African descent. Nevertheless, she is considered as one of the most important women in the cultural heritage of Rio de Janeiro. Remembered as a very beautiful woman with an amazonian stature and piercing blue eyes, she was born on the 5th of March, around the first half of the 19th century. Her mother, Delminda, was a black woman from the Bantu tribe. She was believed to be from the royal family of Galanga, all of whom were sold in a slave ship to Rio, Brazil. Delminda was raped by a white owner and was sold to Joaquina Pompeu while pregnant with Anastacia. Anastacia was one of the first black female slaves to be born with blue eyes. Anastacia grew up to be incredibly beautiful, with everyone on the plantation stunned to see a pretty black girl with blue eyes. In an act of jealousy, the white women asked the owner’s son, Joaquin Antonio to make her wear a heavy iron collar and a muzzle on her face, rendering her unable to speak. 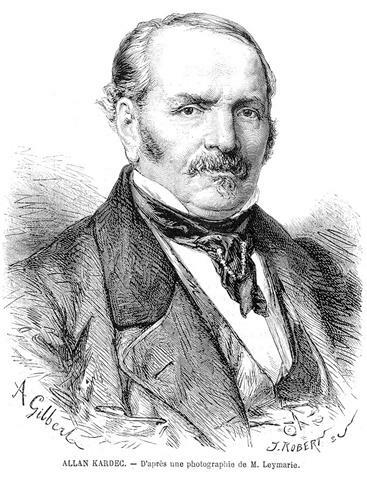 Hippolyte Léon Denizard Rivail (Allan Kardec), founder of the Spiritist religion, which the Umbanda religion takes its roots from. The religion strongly urges Roman Catholicism to venerate Anastacia as a saint. Portrait from L’Illustration, 10 April 1869. She stoically endured the slave mask for the rest of her life and treated everyone with a calm demeanor, kindness, and love. The unimaginable pain from the mask would later turn out to be her iconic symbol of martyrdom. There are many variations of the reasons for her inhuman treatment, all of which mention Anastacia as being very cruelly treated and raped by her owner. The stories vary from the white women’s sheer jealousy of Anastacia’s beauty, or aiding the escape of other slaves, stealing sugar, or simply resisting her master’s sexual caprice. After many years of suffering and cruelty, the beautiful woman died of tetanus caused by the iron collar. It is believed that, before she died, she cured her master’s son of a serious illness and forgave them for the harsh treatment they gave her. The owner posthumously manumitted her, renouncing her slave status, and she was buried in a slave cemetery in Rio. Her remains were in the Church of Rosario, but sadly, they were lost in a house fire. Escrava Anastacia is remembered as a symbol of compassion and forgiveness. Nurses, prisoners, and the ill pray to her and today she has a place of worship in Vas Lobo, in Rio. There are active petitions that urge Rome to canonize her as St. Anastacia of Rio. Coincidentally, Anastacia derives from an ancient Greek word which means “Resurrection”.